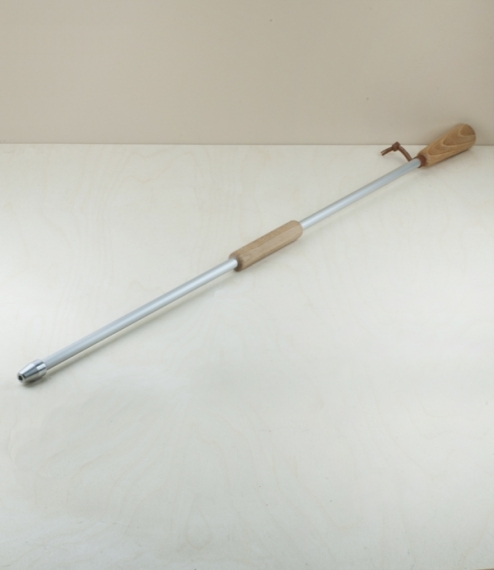 An aluminium blow pipe with an oiled beechwood mouthpiece and handle and a leather hanging strap. Originating in the mountainous Massif Central region of France, the Bouffadou fire pipe enables you to blow air right into the heart of the fire. Keeping you at a safe distance, the pipe is equally effective for wood-stoves, chimineas, barbecues, campfires and bonfires. This simple tool is perfect for encouraging a fire that’s reluctant to ignite or rekindling one that’s burning low. 80cm long.